After more than 10 years as a Partners at Law Office and Legal Consultants Kusnandar & Co. and Saroinsong, Tumundo & Partners and as a Senior Associate for the Firm Brigitta I. Rahayoe and Partners since September 2012. She is a law graduated of University of Padjadjaran, Bandung, Indonesia. Hetty’s practice focuses on investment law, corporate transaction including joint ventures, incorporations, mergers, consilidations, acquisitions restructuring and liquidations, liaison with Indonesia government agencies, praparation of legal documents and forms including those required in relation with corporate matters and legal transactions, serviced related to intellectual property rights. 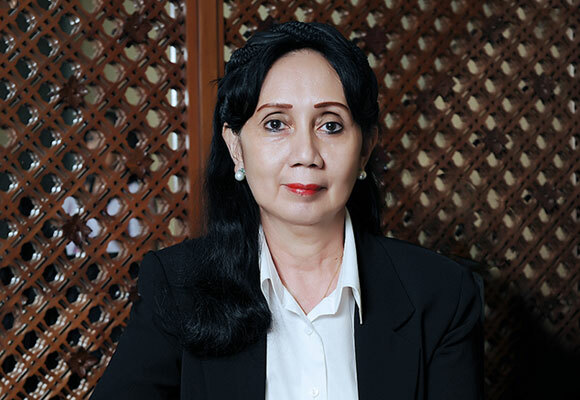 She is holder of licensed as an advocate by the Indonesian Bar Association and also licensed as a Consultant of Capital Market.